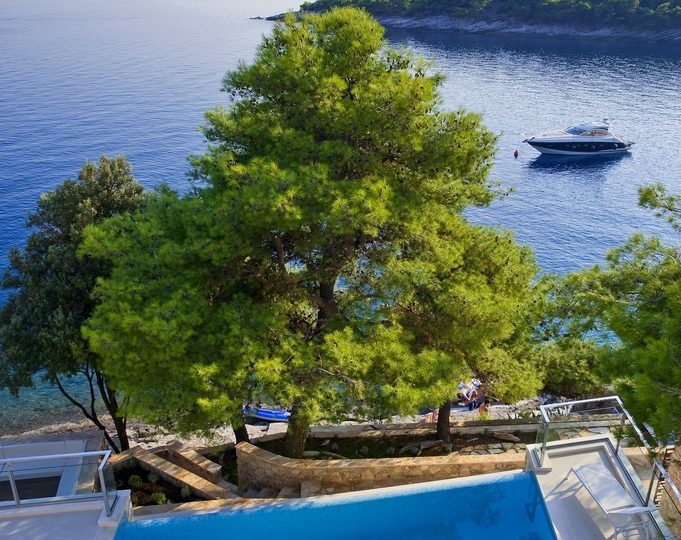 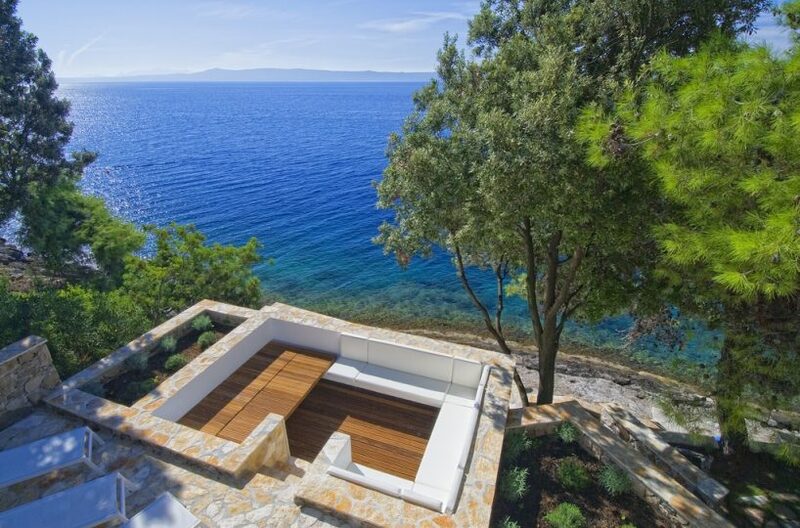 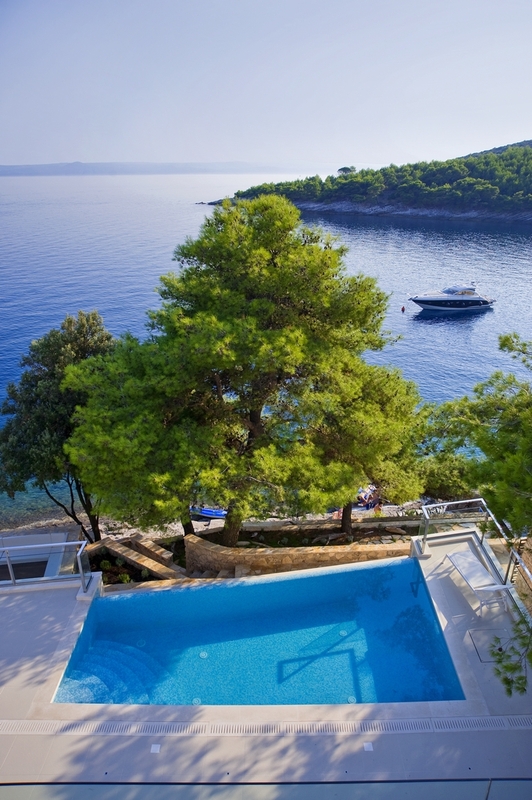 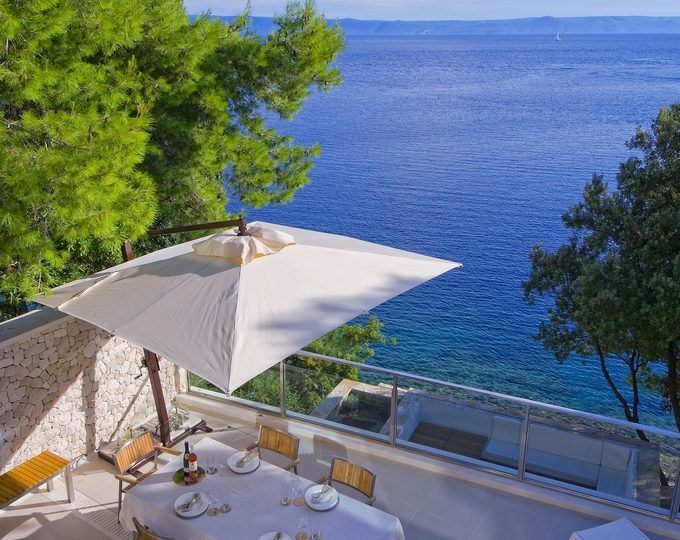 Five star luxury villa White Pearl of Brac is set in a private and quiet location of the magical Puntinak bay on beautiful island of Brac. 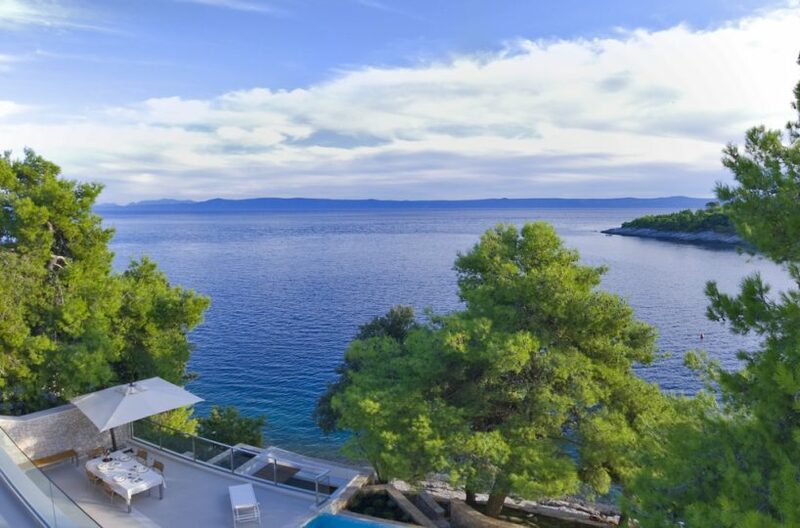 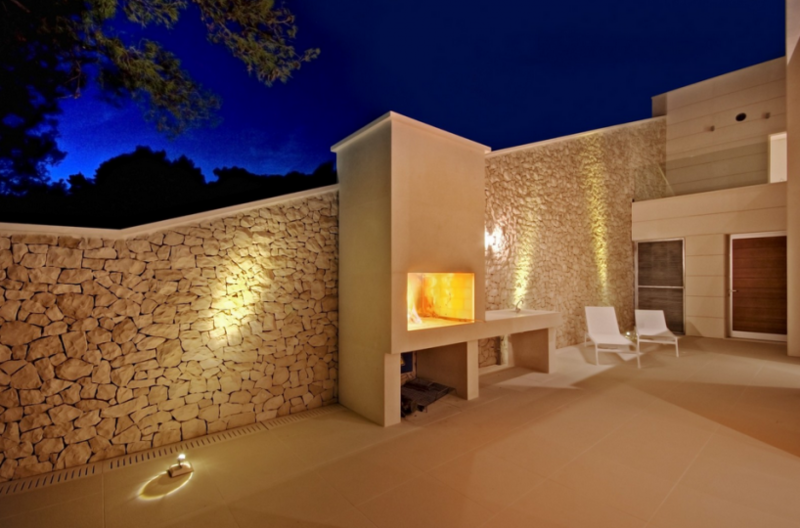 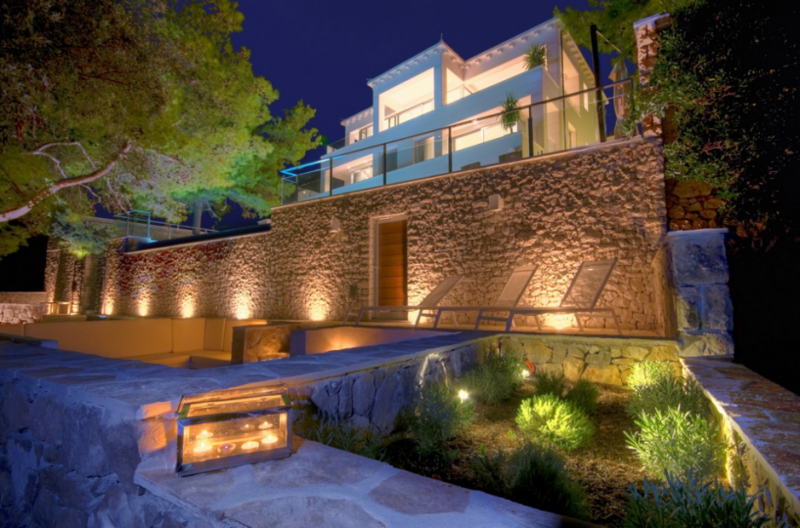 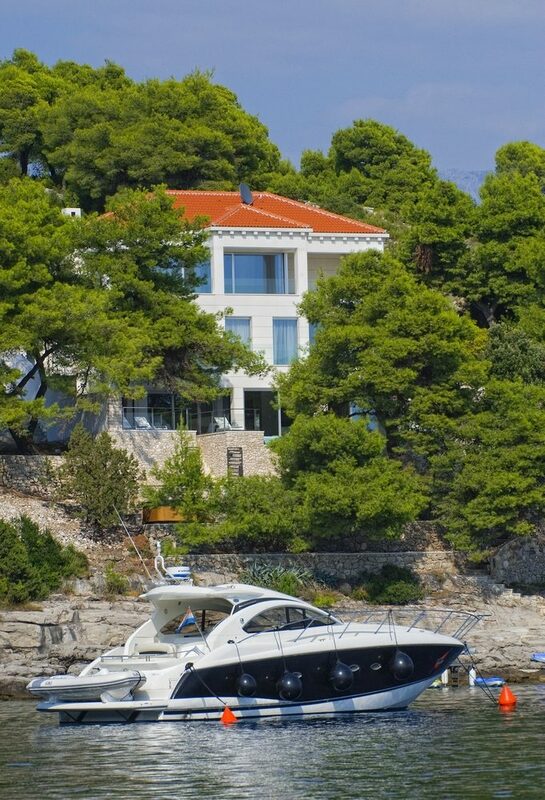 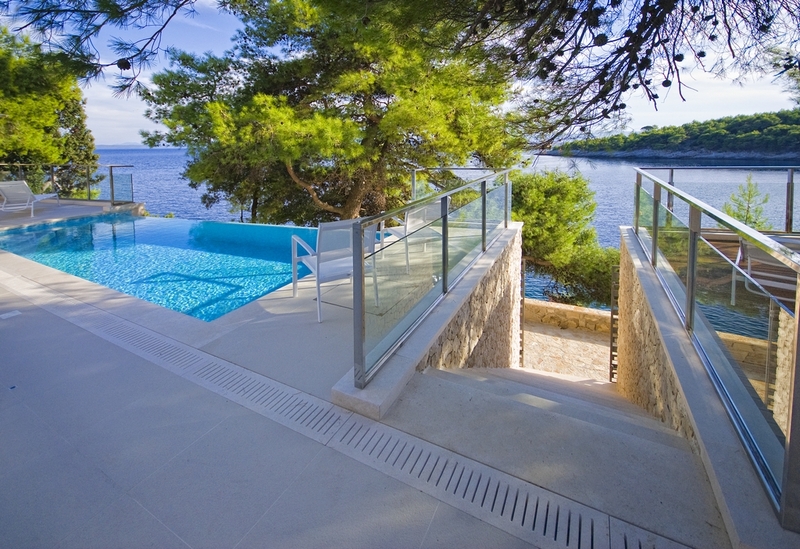 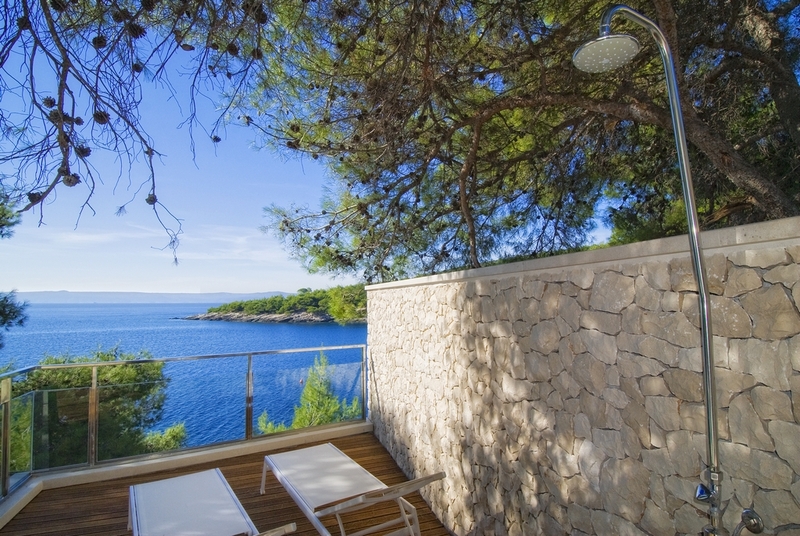 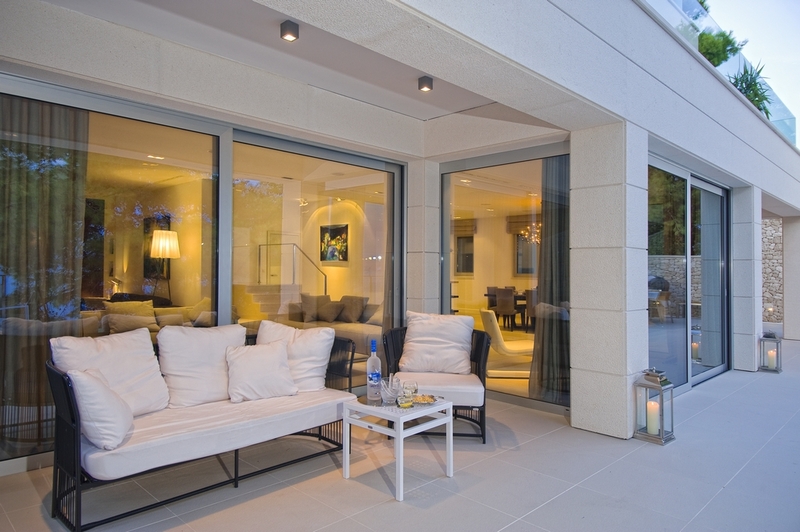 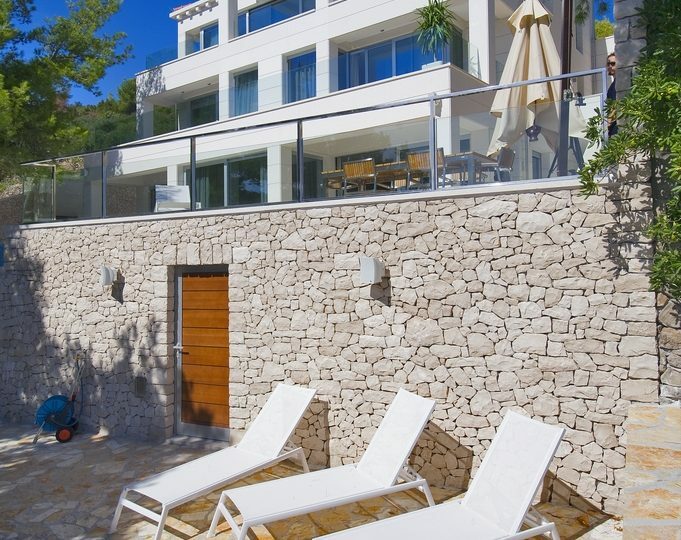 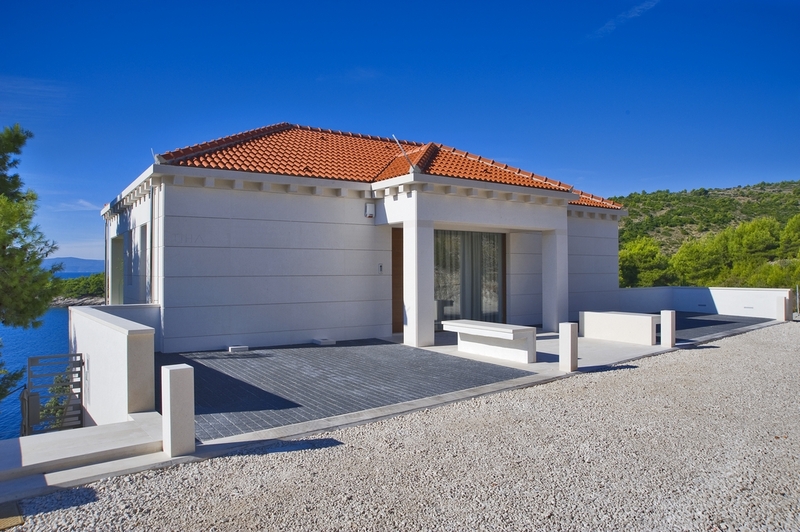 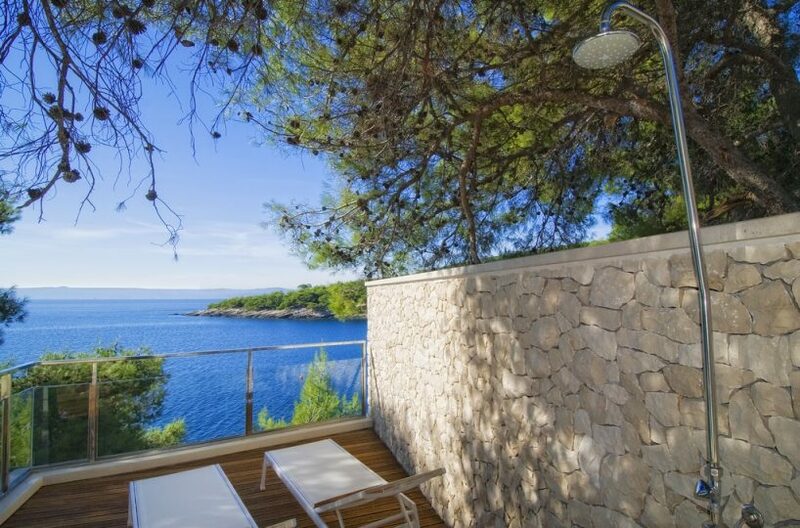 Made of famous Brac white stone outside and modernly designed interiors, with magnificent sea view terraces, swimming pool and Jacuzzi this luxury villa is a perfect hideaway and the place to spend your luxury vacation in Croatia. 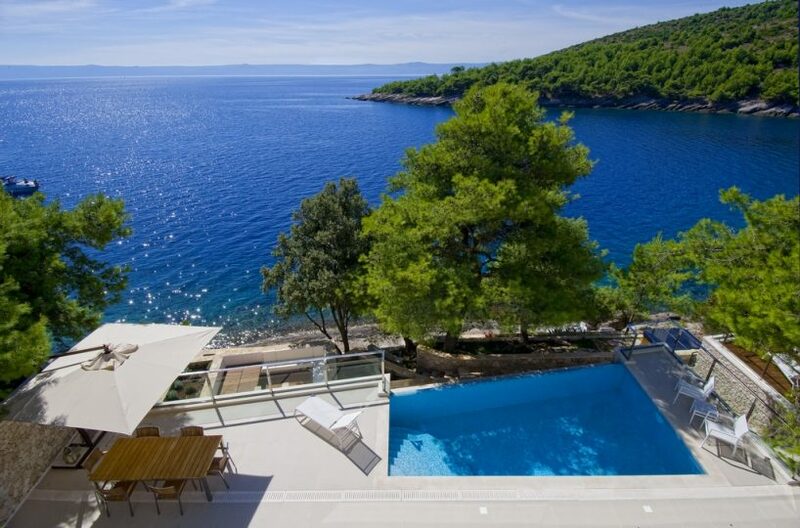 Villa White Pearl of Brac is spread on 550 square meters property, surrounded with greenery and Mediterranean scents, only few meters from the crystal clear sea. Village of Selca and Sumartin are only 3 kilometers away with restaurants and shops. 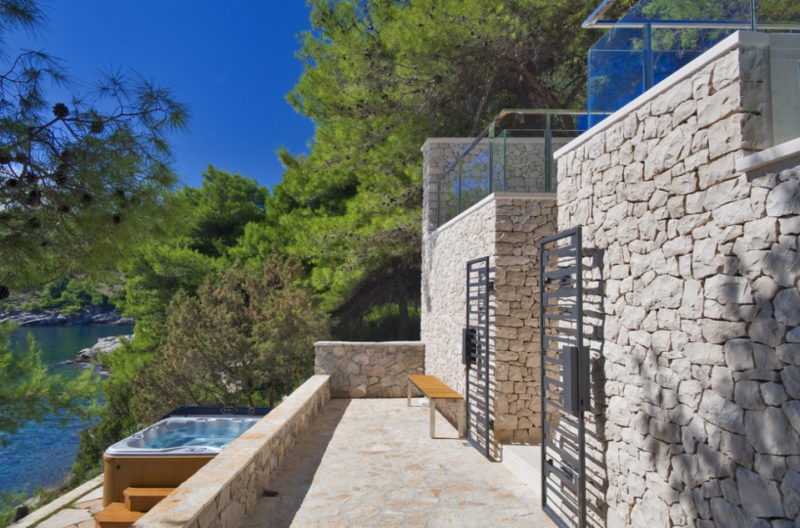 Villa offers 4 bedrooms, 4 bathrooms with one additional toilet, large heated swimming pool, outdoor Jacuzzi and beautiful sea view terraces and it is ideal accommodation for 8+1 persons. Spacious terraces with sea view, consisting of few lounge areas with sun beds around the heated swimming pool and the Jacuzzi, outdoor shower and teak sundeck on the lower terrace leading to the sea offer the perfect mixture of modern and Mediterranean experience. 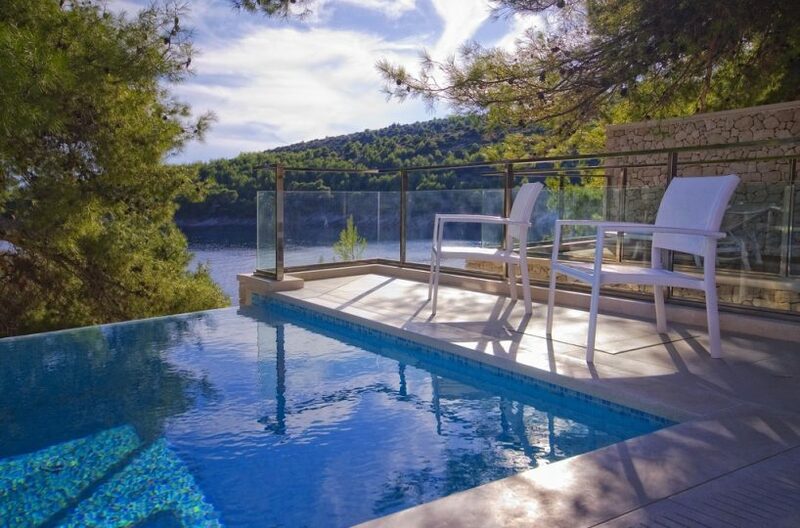 Pool terrace also offers an outdoor kitchen, barbecue facilities and an outdoor dining table for 8 persons, toilet off the pool area and there is a remotely controlled music to all external areas. 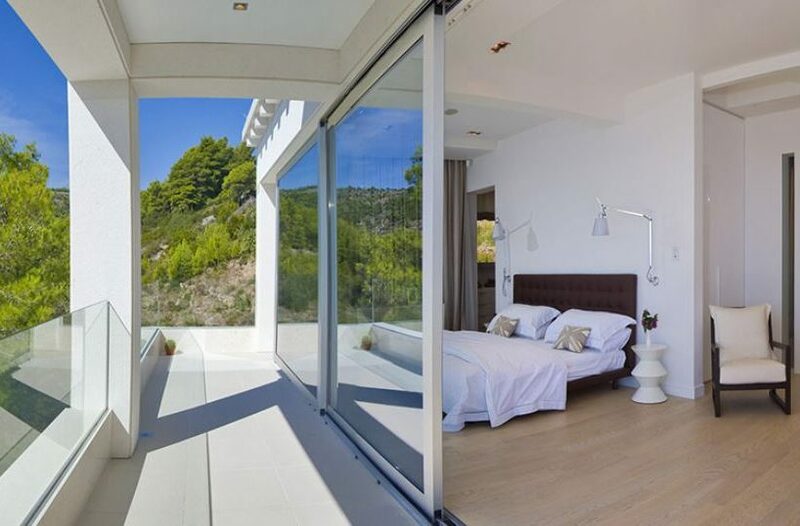 Contemporary and beautifully designed interior of the villa is filled with natural light coming from the high glass walls opening to the sunny terraces. 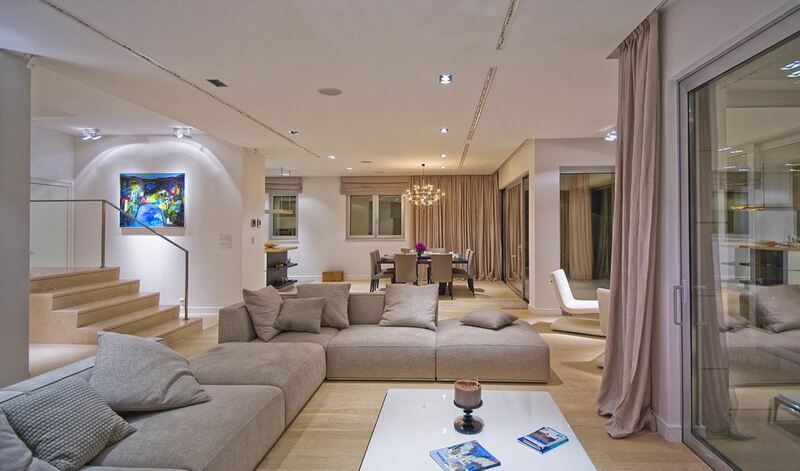 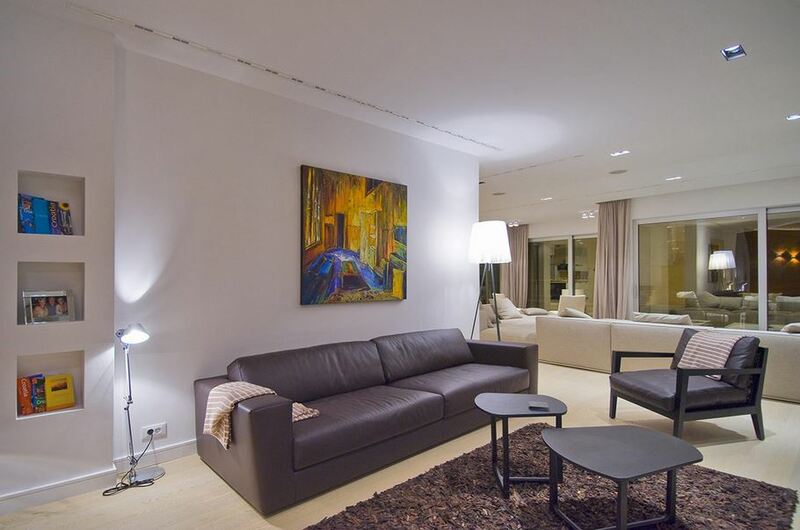 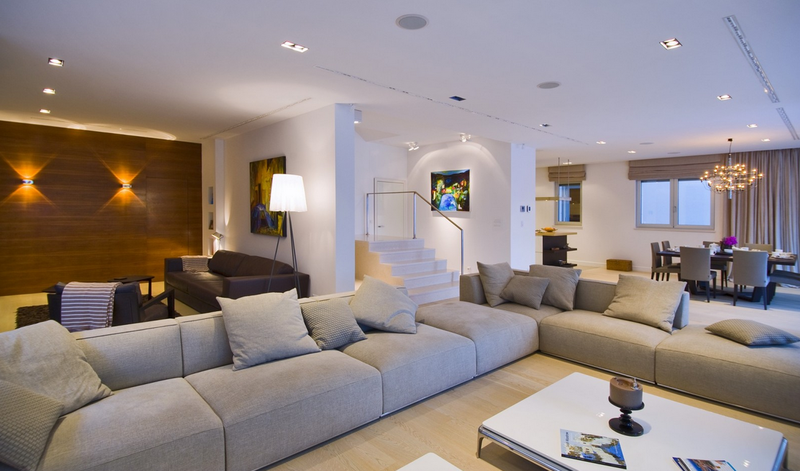 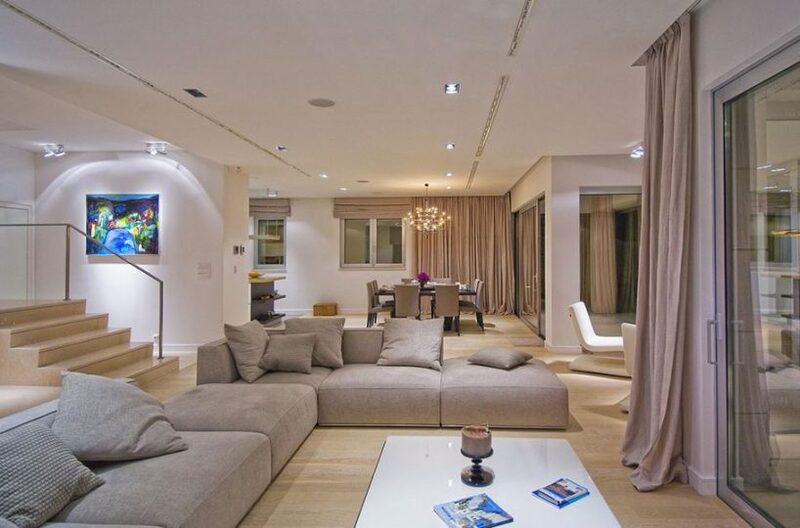 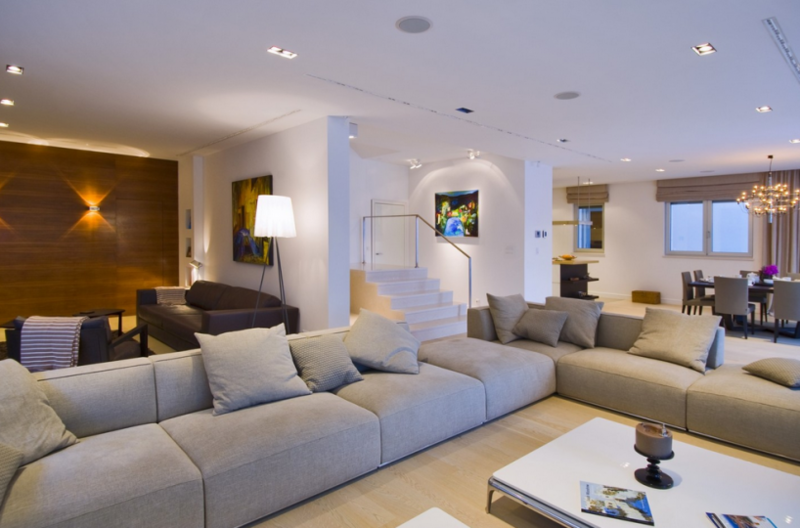 Ground floor of the villa offers a large open plan living room with many spacious areas to relax. 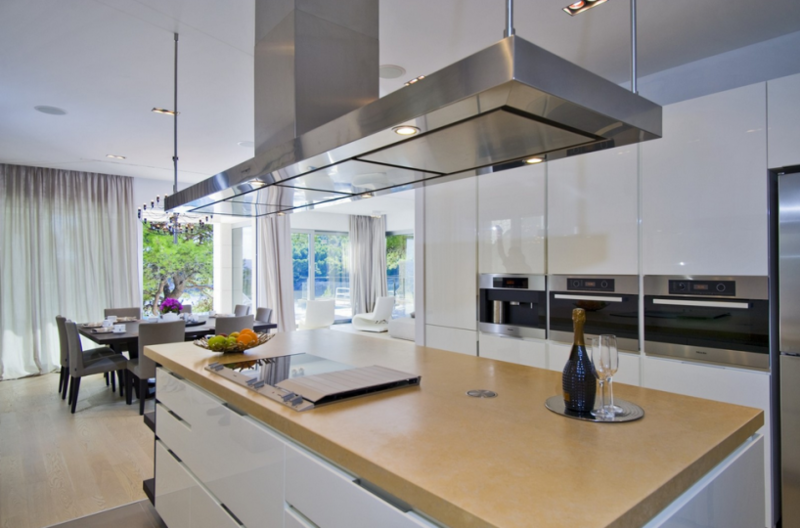 Modern and equipped kitchen (two dishwashers, stove, grill, steam cooker, coffee maker and fridge) is connected to the dining area with table for 8 and the living room. 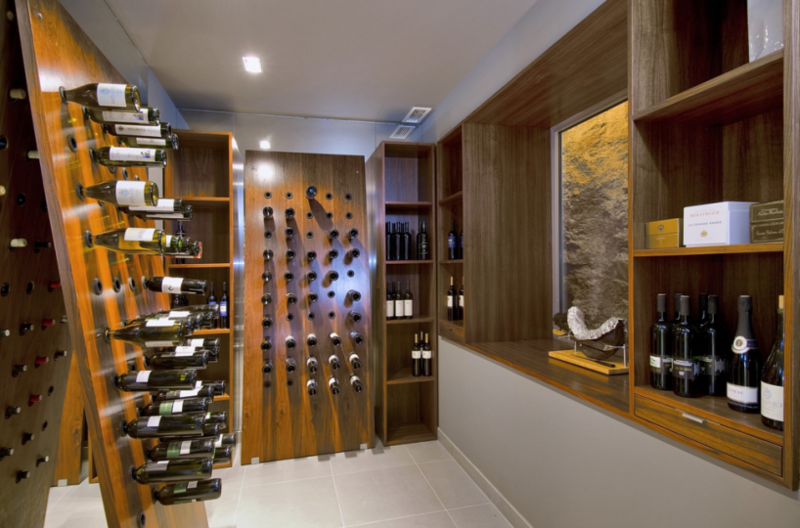 On this floor there is also a laundry room with washing machine and a dryer, a study room and wine cellar. 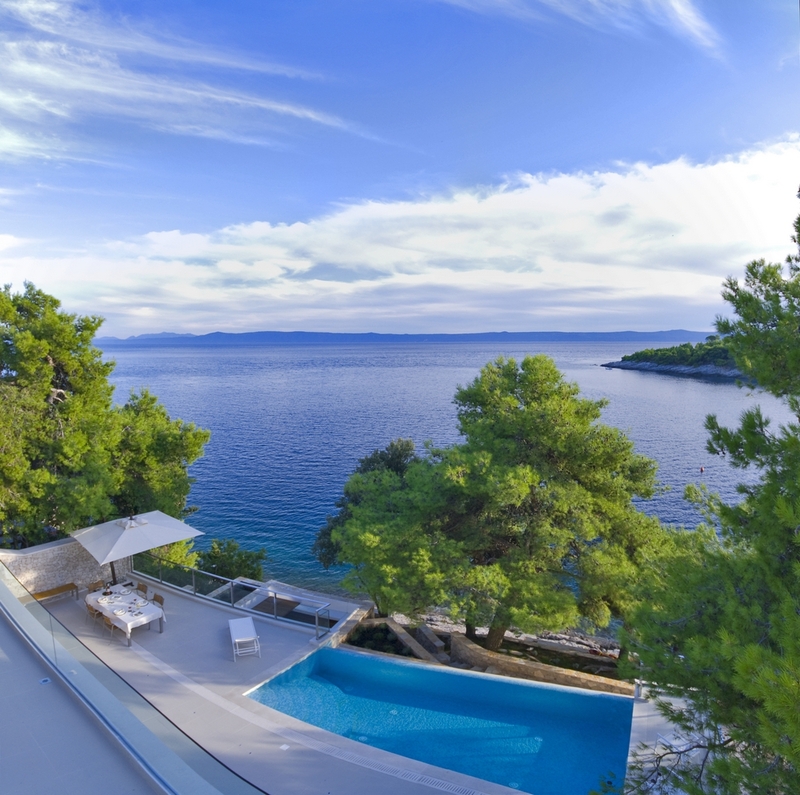 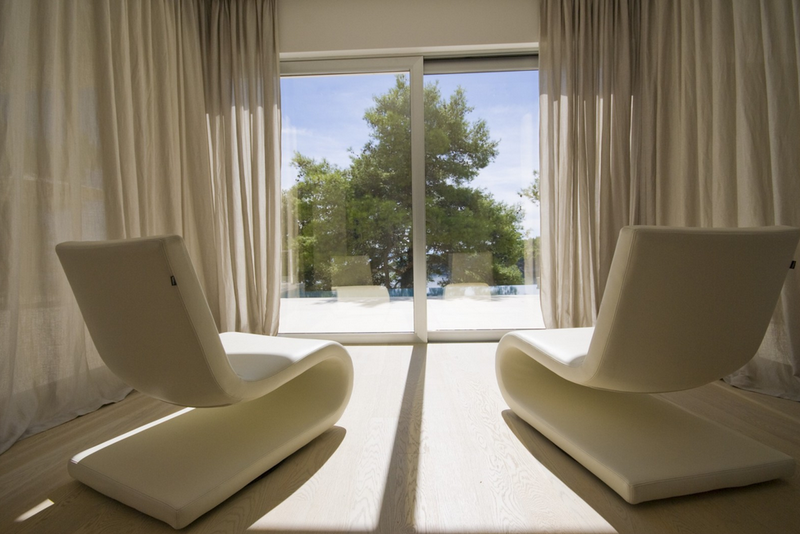 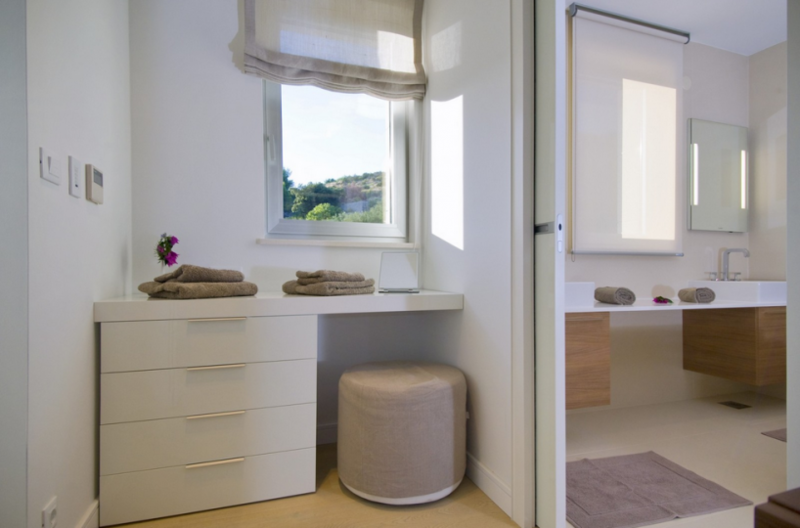 First floor of the villa White Pearl of Brac comprises two luxury bedrooms – one double and the other one with twin beds, both with en-suite bathrooms, walk in dressing rooms and beautiful south oriented terraces with stunning sea views. 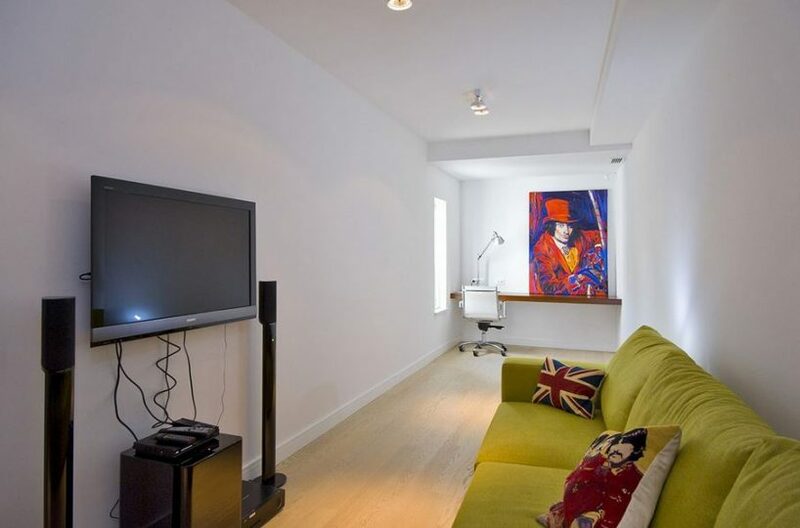 There is also a TV & games room on this floor consisting of large, relaxing sofa, flat screen TV with Bose surround sound and DVD player. This room can also be a separate bedroom for one person on sofa bed. 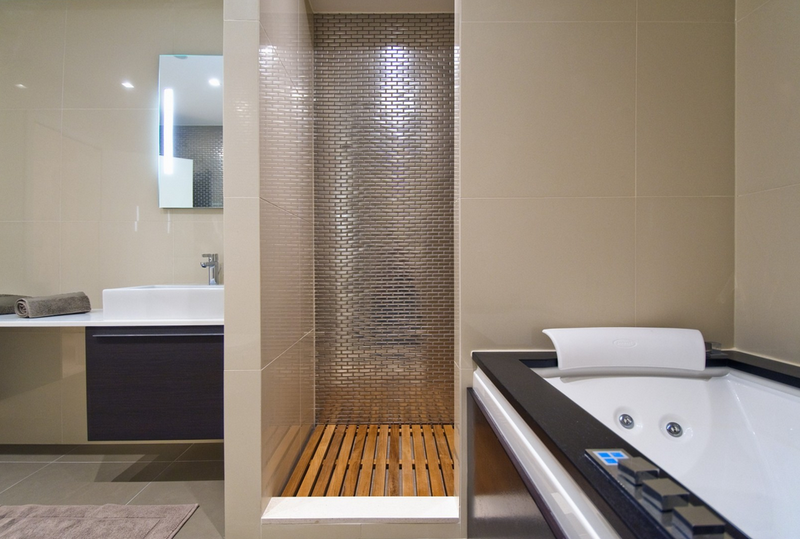 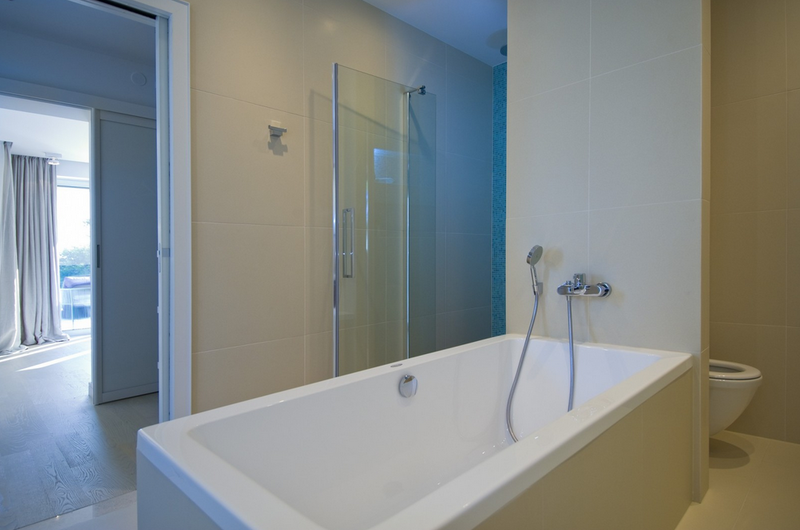 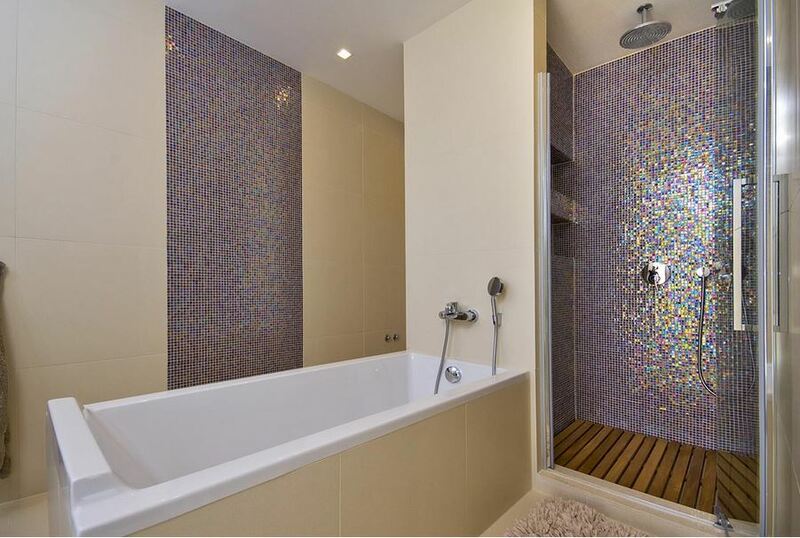 One separate bathroom with hot tub and shower can also be found on this floor. 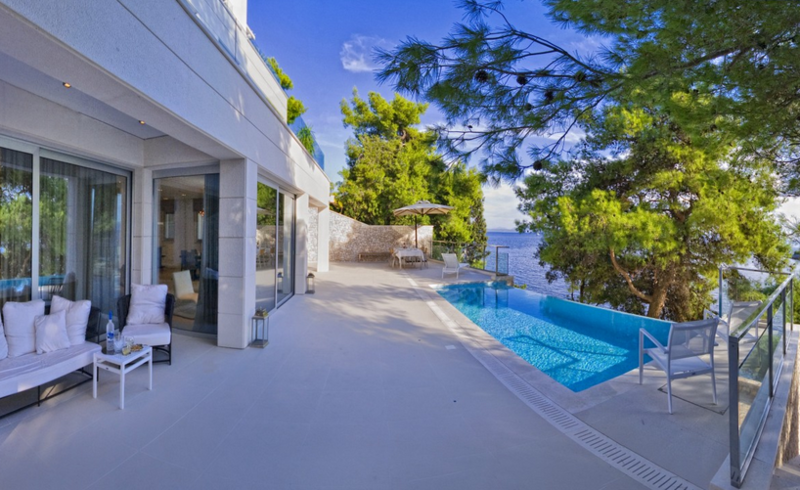 Second floor of the villa consists of two more bedrooms. 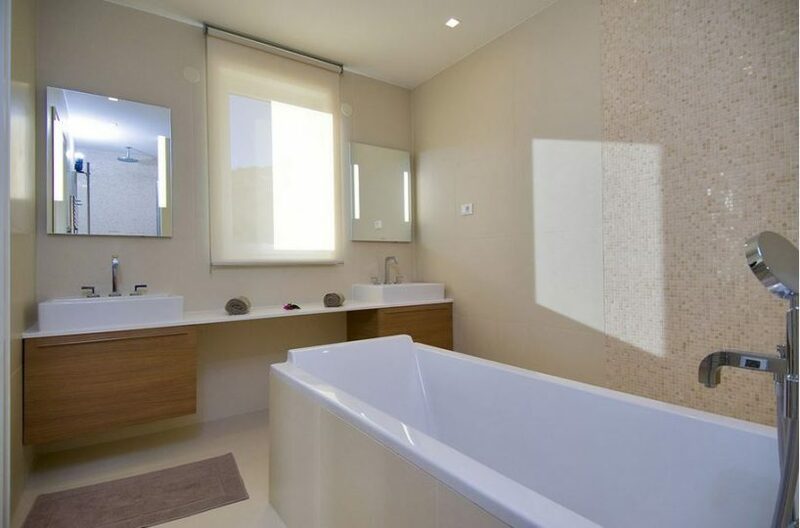 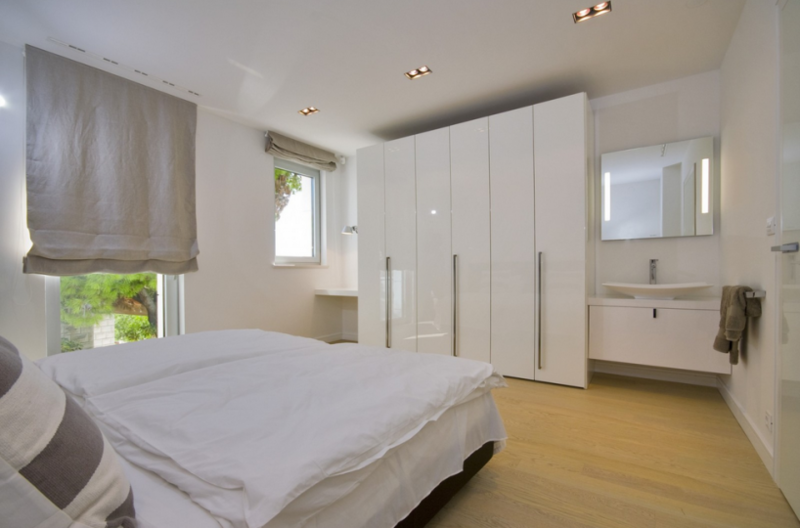 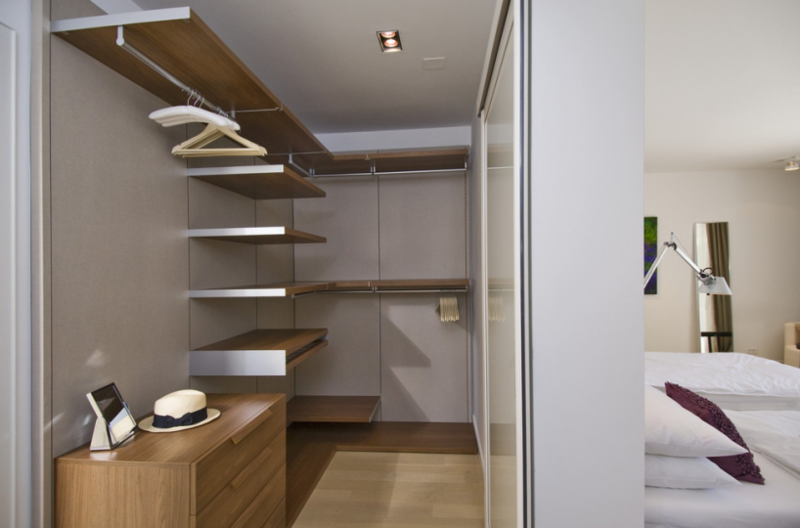 One is a master suite with king size bed and en-suite bathroom, dressing room and opening to a sea view terrace. 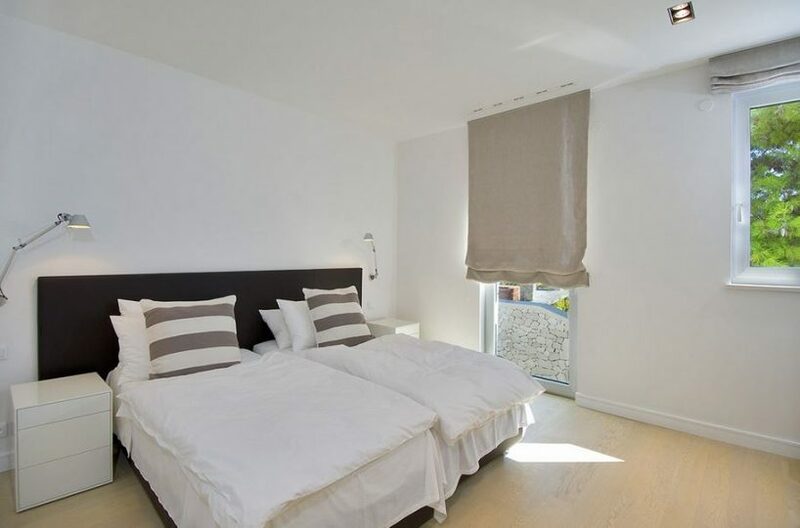 Second bedroom on this floor also has a double bed with integrated washbasin corner and, working desk and a balcony. Whole villa is air conditioned and offers Wi-Fi. 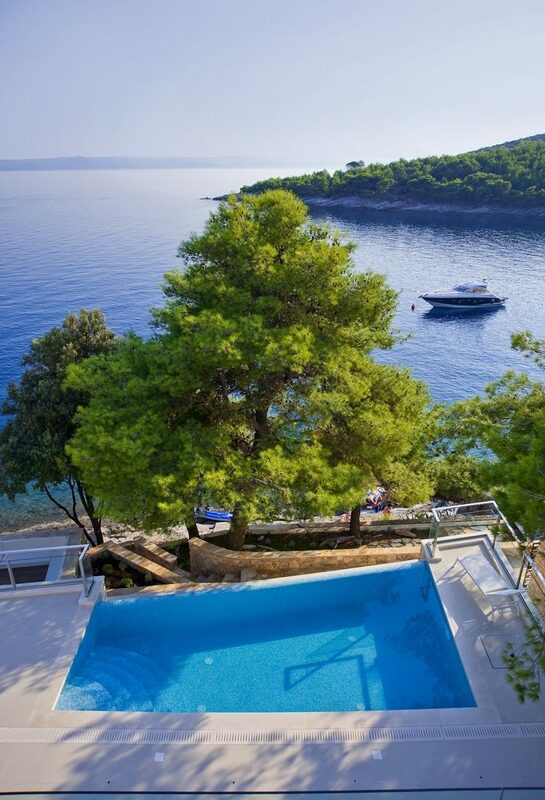 It is fully staffed for the complete relaxation on its guests. 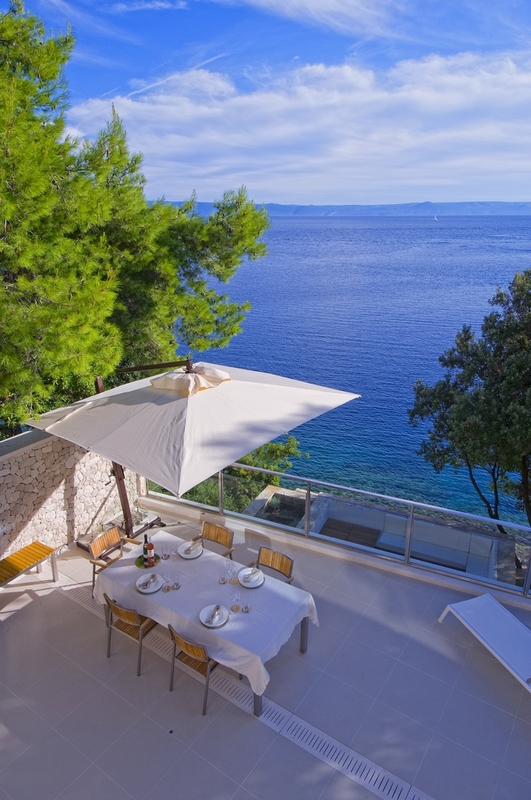 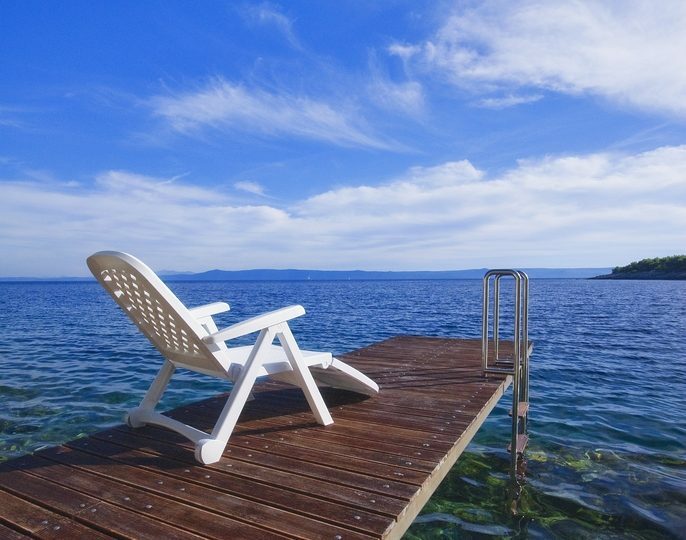 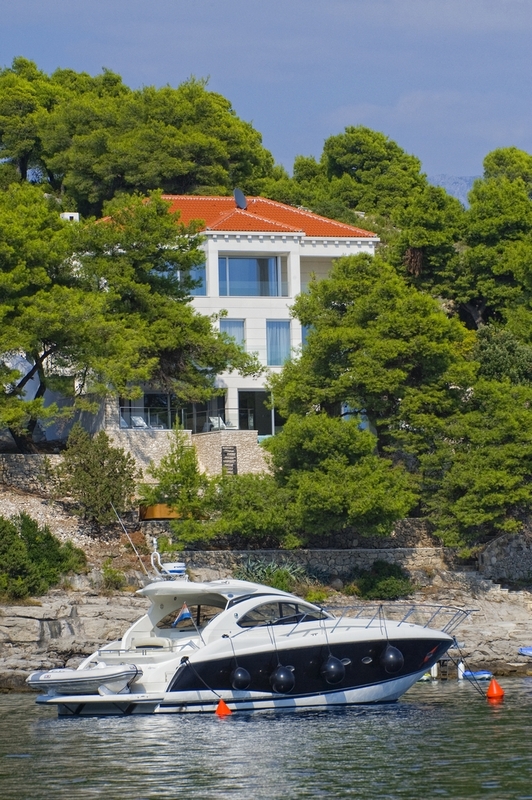 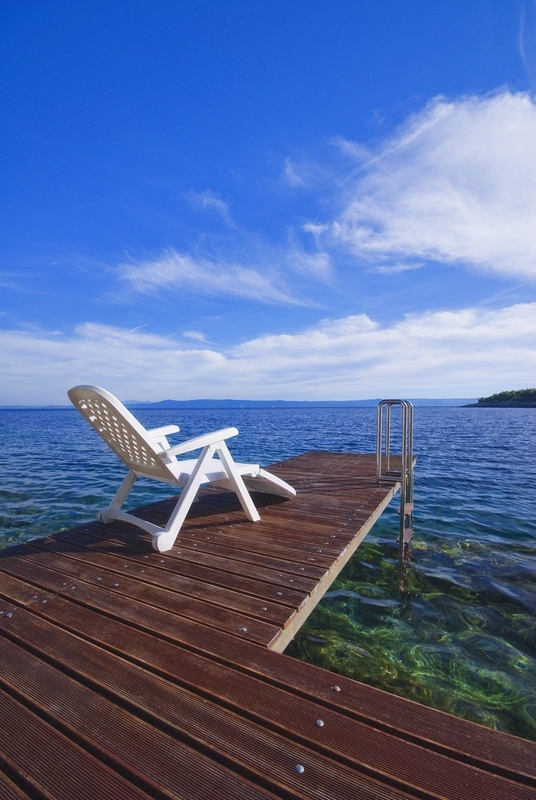 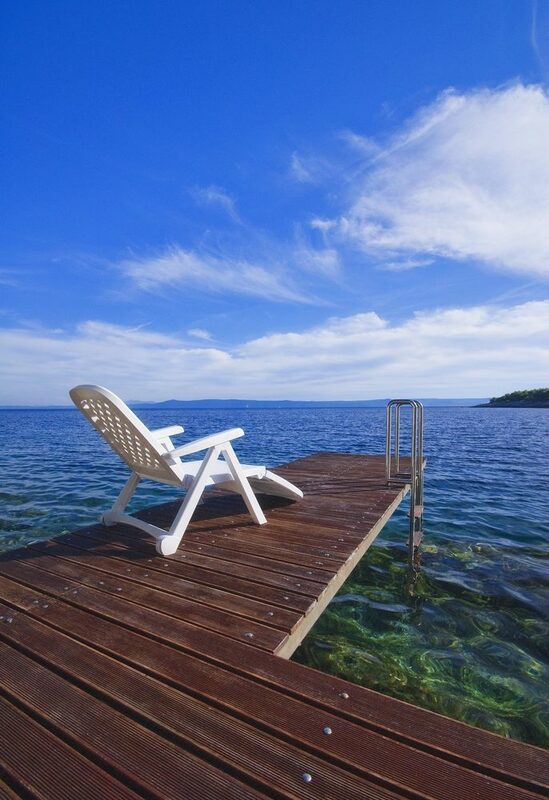 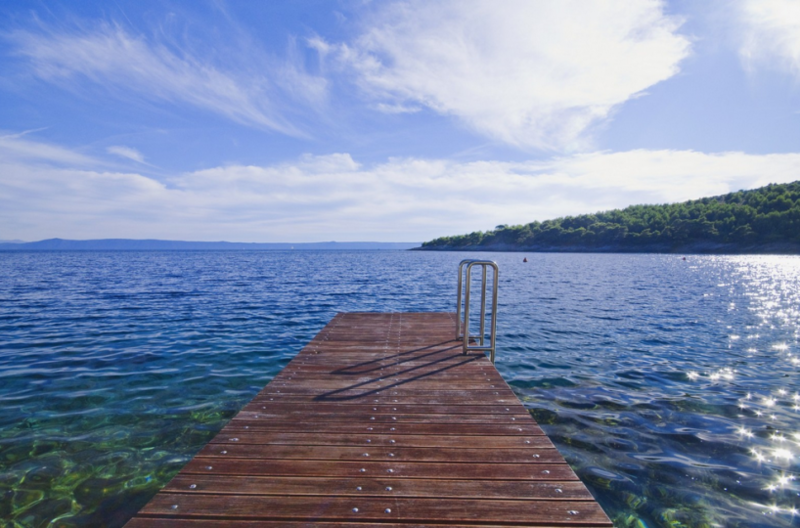 Villa White Pearl of Brac is only 5 meters from the sea and has a seaside sitting area with jetty and private boat mooring for 20 meters long yacht.